There is a very interesting region in Tuscany, Italy that’s perfect for wine enthusiasts. Chianti, which is located between Florence and Siena, provides the authentic wine-tasting experience. Aside from the beautiful landscapes that surround the hilly region, there is this interesting fact about ancient wine-making, which producers are coming back to these days. Chianti Classico, from the distinctive label of Black Rooster, is clearly known as one of the tastiest wines in the world. It is made, no less, than from Chianti’s local sangiovese grapes and is carefully concocted based on the ancient traditions. Here are some wineries in Chianti that are worth paying a visit to better understand what comes with every bottle of Chianti Classico. Fontodi – This is a 110-hectare organic farm owned by Giovanni Manetti. Like most vineyards, hectares and hectares of vines and olive trees can be found in here, but to maximize the remaining space in between, barley is also planted. This is one of the wineries in the region that’s coming back to its roots, and trying to produce tasty wines using terracotta vats instead of the usual wooden barrel. Aside from the ancient traditions, green principles are also closely observed within the estate. Val delle Corti – This popular chianti classico brand is produced by Roberto Bianchi. He is a feisty wine maker who owns six hectares of organic land. He, too, is loyal to the ancient tradition of producing wines. But, Roberto believes that adding some flavor of international grape variants instead of using pure sangiovese is the key to opening the gateway to the global market. His judgment was true. His three labels – riserva, vino di tavola, and chianti classico are all acceptable on international wine market standards. Le Boncie – The vineyard is owned by another great winemaker in the region: Giovanna Morganta. She is overseeing the operations in a five-hectare land that grows sangiovese grapes to make the classic and tasty chianti classico. She is hands-on in tending the vineyards and fermenting the wines. The way she grows her vines is quite amazing. She uses the old and tested alberelo method wherein vines are allowed to grow free. They are not constantly trimmed. Wild plants and weeds are allowed to grow in its environment. If you want a great wine-tasting experience, you better take the next flight to Chianti. 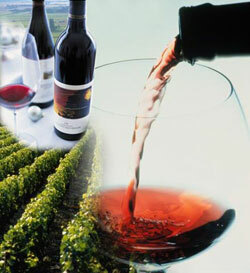 Explore its surroundings and have a grand time choosing what suits your palate. Aside from the wineries, there are also restaurants and osteries that are all over.